Plan a relaxing trip to the Gulf Coast, check into a welcoming country inn, stay on a working vineyard, or spend your weekend in a historic city hotel while exploring nearby attractions. 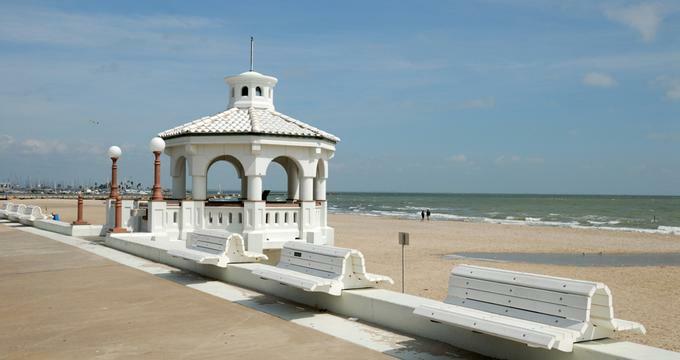 Popular weekend destinations and day trips from Houston, Texas include San Antonio, New Orleans, Austin, Fort Worth, Dallas, Galveston and Corpus Christi. Here are some of the best romantic getaways near Houston. For wine lovers, there is no better way to spend a relaxing getaway weekend than by visiting a winery. 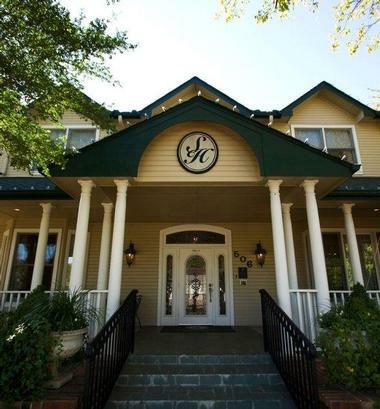 If you decide to visit Messina Hof, one of the best Texan wineries, extend your stay and indulge in a weekend at their world-class bed and breakfast, the Villa. Located just four miles from the downtown Bryan, the Villa offers luxurious accommodation in its eleven magnificent suites with original European antique furniture, elegant décor, and the latest luxury amenities. 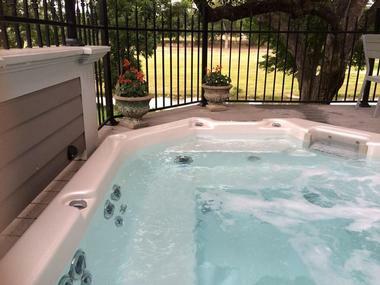 Enjoy the oversize hot tub, secluded patios, and all the benefits that accompany a stay at the Messina Hoff estate. Each guest is offered a tour of the winery, a private champagne breakfast, an afternoon wine and cheese party, and, if requested, their famous chocolate-dipped strawberries, which should be savored with one of the great wines Messina Hoff has to offer. Whether you are visiting Navasota for the Blues Festival, attending a performance at the Navasota Theatre, taking part in the Texas Renaissance Festival, or interested in exploring Washington-on-the-Brazos State Park, The Red Velvet Inn is the perfect romantic place to stay. 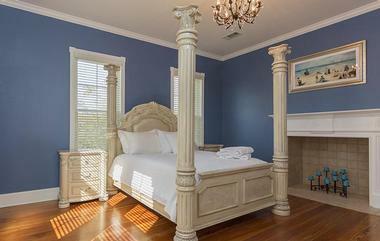 This charming bed and breakfast is located in a beautiful, superbly renovated 120-year old Victorian home built for Charles W. Steward, son of Charles B. Stewart, who designed the flag of Texas and signed the Texas Declaration of Independence. The inn is a dog lovers’ delight; your furry friends are allowed in the room, the rooms are named for the owner’s dogs, and part of the inn’s revenue goes to a number of dog rescue charities. 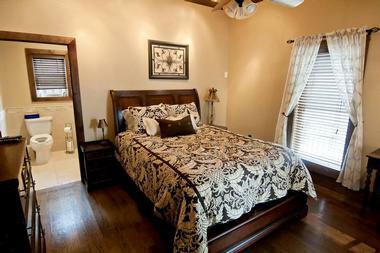 There are four spacious and nicely decorated bedrooms with private bathrooms and cable TV. Continental breakfast is provided on a self-serve basis. Located on North Padre Island between the Gulf of Mexico and Laguna Madre, Fortuna Bay Bed and Breakfast is the perfect place to escape from every-day life. It offers incredible views of the ocean, contemporary comfort and amenities, and the opportunity to participate in as many or as few activities as you wish. This complex of eighteen converted condos is designed to offer total comfort with one or more bedrooms, a living room, fully equipped kitchen, luxury bath, and all the other comforts of home. The inn has its own dock for boats, and the beaches are within walking distance. You can relax by the pool, go fishing, or do absolutely nothing except watching the sunset with your happy hour cocktail. The makings for breakfast are in your fridge, and you are free to enjoy them any time you like – there’s no reason to look at the clock when you are on island time. Built in the 1920s in the Greek Revival style, White Oak Manor Bed and Breakfast is a charming getaway in the Historic District of Jefferson that offers gracious accommodation and modern amenities and is replete with Southern charm. 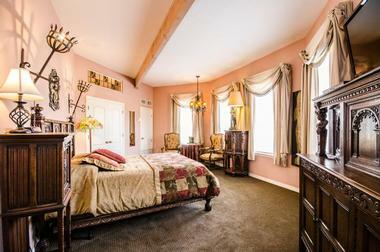 Three beautifully appointed bedrooms are cozy, inviting, and tastefully decorated in country-style décor. Modern amenities include private en-suite bathrooms with baths and showers, mini fridges, coffee and tea facilities, flat-screen televisions with DVD players, central air-conditioning, and free Wi-Fi. A delicious gourmet breakfast is served each morning in the sunny dining room, and the bed and breakfast is within close proximity to several of Jefferson’s vibrant attractions, including river cruises, ghost walks, and ample shopping. From the 45-foot pool and twelve luxurious rooms to the culinary school, spa, and art gallery, Blair House Inn Bed and Breakfast offers far more than just comfortable accommodations for a romantic getaway weekend. Blair House is set in the middle of 23 picturesque acres in Texas Hill Country in the lovely village of Wimberley. Known for its artists’ colony, Wimberley is great fun to explore, but there is a lot to do even without leaving Blair House Inn. Your day starts with a gourmet three-course breakfast in your room. Most rooms have a private whirlpool bath but you might want to try the sauna or request a massage service. 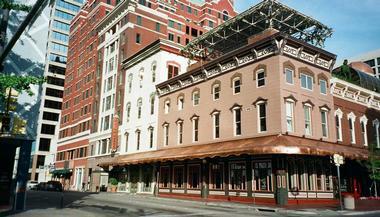 Explore the inn’s own art gallery or take part in one of the famous Blair House cooking courses. Stroll along throughout the lovely property or head to one of the nearby golf courses. In the evening, you can indulge in the inn’s gourmet five-course dinner by their celebrated chef. 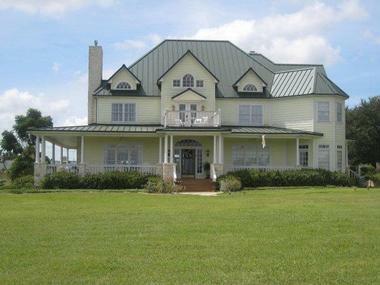 Lockheart Gables is the perfect destination for couples, honeymooners, or guests celebrating a special occasion. The luxurious adults-only guest house has six fabulous king suites that feature king-sized beds with plush linens and heart-shaped jetted tubs for two. A delicious breakfast is served in-room, and plates, silverware, and wine glasses can be provided for in-house dining too. A variety of snacks are available throughout the day, and guests can enjoy a range of in-room massages and treatments. Located near Fort Worth’s cultural district with world-renowned museums, specialty shops, and restaurants to suit every taste, Lockheart Gables promises an unforgettable stay. Located in historic downtown Arlington, the Sanford House is a luxurious boutique hotel that features elegant accommodations, a fine dining restaurant, and a full service spa. Conveniently situated just minutes from the Cowboys Stadium, Texas Rangers Ball Park, and Six Flags over Texas, the Sanford House is a perfect base for exploring Arlington. As you approach Lilian Farms Country Estate and see the magnificent mansion surrounded by fields of blooms, you will feel as though you have entered into the setting of an old Victorian novel. The attention to detail and original Victorian touches will amaze you. The mansion has shiny walnut floors inlaid with hand-made mesquite tiles, a baby grand piano in the parlor, and an original fireplace framed with delicate tiles with calla lily details. Everything is carefully designed to put you in the mood for a vacation of indulgence and pampering in a place that calls to mind the romantic past. Lilian Farms Bed and Breakfast is located in charming Washington, Texas on 230 acres of lush Bluebonnet Country, about half way between Austin and Houston. It offers five luxurious rooms in the mansion, a two-bedroom penthouse in the carriage house, and six private cottages a little ways away on the property. You can enjoy the opulence of your room, admire the fine details and antique furniture of the common rooms, pick up a book in the cozy library, visit the art gallery, or venture outside and hike to the beautiful 14-acre lake stocked with fish. If strolling through this spectacular property is not enough to entertain you, take a short drive to the picturesque town of Brenham or explore the picturesque Washington-on-the-Brazos State Park. Azalea Plantation Bed & Breakfast is a stately country inn nestled near the heart of Fort Worth that offers guests a relaxing, tranquil getaway. Housed in a historic 1940s mansion in a quiet, residential neighborhood, this traditional bed-and-breakfast features beautifully appointed whimsical rooms and cottages. Guest rooms offer spacious living rooms with large beds, en-suite bathrooms with double whirlpool tubs, and entertainment amenities like flat-screen TVs and iPod docks. Some rooms have private balconies or verandas, and the property has free wireless Internet. Guests can enjoy a complimentary hot breakfast in the plush, Victorian-style dining room or relax over coffee in the lovely garden. The Azalea Plantation is located just a short stroll from Sundance Square where you’ll find an array of restaurants, bars, and other entertainment. Just thirty miles north of downtown Dallas is the picturesque little town of McKinney with lovely tree-lined streets, a historic downtown, two great breweries, twenty-six restaurants of all kinds, galleries, museums and a number of green spaces. If you are heading that way, Red Gate Inn Bed and Breakfast will charm you with its three spacious luxury suites, each unique and with its own special features. You may also like: Best Things to Do in Corpus Christi, Texas. 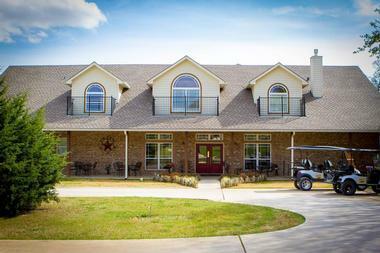 MD Resort is an exclusive guest ranch conveniently located in Fort Worth that offers the perfect place for a romantic getaway, family break, or special occasion. Once an emu and miniature donkey farm, MD Resort boasts 35 beautiful acres of oak trees, a pecan orchard, and open fields, as well as inviting bed and breakfast accommodations, gourmet cuisine, and an array of entertainment. The main lodge offers beautifully decorated guest rooms with four-poster canopy beds, wooden furniture, a microwave, a miniature refrigerator, and satellite television. The resort provides a plethora of activities to enjoy from swimming, cycling, horse riding, and volleyball, to more romantic pursuits like massages, walking through the grounds, and soaking in the hot tub. 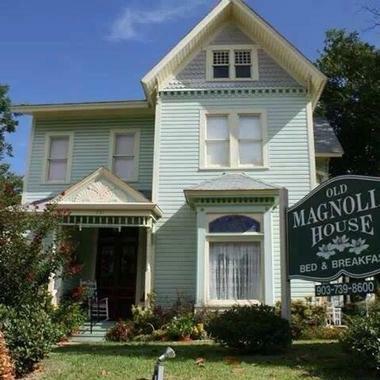 Immerse yourself in a more graceful and romantic atmosphere by spending a weekend at the carefully renovated Old Magnolia House Bed and Breakfast. 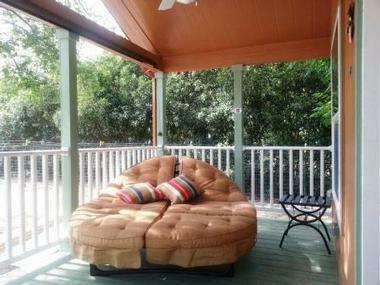 This magnificent 1871 Victorian beauty will charm you from the moment you step onto its spacious porch. So many original details have been preserved to convey the original elegance of the house, such as stained glass windows, pocket doors, and the beveled and etched front door. The three lavishly decorated guest rooms are all spacious and unique with tasteful décor, a small sitting area, and individual bathrooms. All guests enjoy a gourmet Southern-style breakfast in the morning and a buffet of sweet and savory treats all day long. 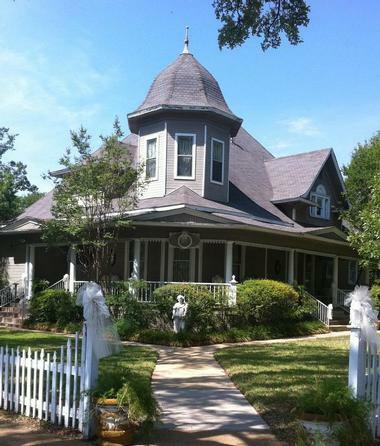 Old Magnolia is a wonderful starting point for exploring charming historic Paris with its own Texas-version of the Eiffel Tower, the Lamar County Historic Museum, the Sam Bell Maxey House, the lovely Culbertson fountain, and miles of bike and hiking trails. 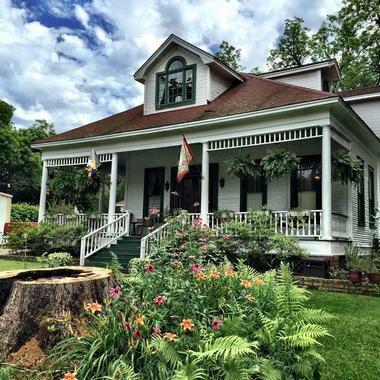 If you love antiquing and find yourself in Gladewater, the antique capital of Texas, treat yourself to a stay at the lovely Walker Manor Bed and Breakfast. The house, a 1900 historic Edwardian beauty, is itself an antique. Guests can choose between three large suites filled with original antiques, including a family heirloom bed in the Finley Suite. All provide beautiful views of the manor gardens or of the main street with its buzz of activity created by antique hunters from all over Texas. Suites are decorated to recreate the more elegant times, but you can enjoy all the comforts of modern life with luxury baths, cable TV, and wireless Internet. 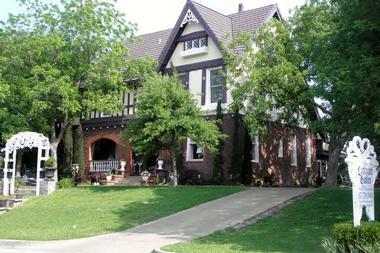 The Old Irish Bed and Breakfast is a place where Irish charm meets Texas hospitality. Only four miles from Denton, it is an adults-only idyllic bed and breakfast where you can have some time away from the kids, your job, responsibility and stress. Located in the working alpaca ranch and shaded by 100-year-old oaks and pecans on the banks of a small charming lake, Old Irish will capture your heart, allowing you to admire nature at its best and experience rustic comfort with modern amenities. Enjoy the comfort of private cottages with their own porches, super comfortable beds and small antique details that make each cottage unique. Go fishing on the lake, watch the geese and their antics, visit curious alpacas, or take a hike through the neighboring wildlife preserve. The romance of Old Irish makes it a very popular wedding venue, a place to renew your vows, or an exciting destination where you can elope with the love of your life. More TX destinations: Lake Charles, Louisiana . The Thornton House, the city’s oldest home, is located just minutes from Arlington’s attractions, restaurants, galleries, and shows. After six years of meticulous renovations and lot of love and care, this beautiful 1906 Classical revival house has been converted into the lovely Thornton Inn Bed and Breakfast with five lavishly appointed rooms. You will delight in the traditional décor of the rooms, all of which have high quality linens and furnishings and impressive bathrooms. A freshly prepared breakfast awaits you in the cozy dining room on the ground floor in the mornings. After exploring Arlington and the surroundings, enjoy a quiet drink on the large porch, cozy up by the open fire at the inn’s outdoor courtyard, or enjoy traditional High Tea in the dining room. Situated just off Interstate 35, Stone Creek Settlement Bed and Breakfast is a delightful bed and breakfast with cottage-style accommodation, gourmet cuisine and a friendly, welcoming ambiance. Individually decorated guestrooms offer kitchenettes with microwaves, mini-fridges, and coffeemakers while cozy cottages boast hardwood floors, wood-burning fireplaces, and whirlpool tubs. A delicious homemade breakfast is delivered to the cabins during check-in, and there is free wireless Internet in the common areas throughout the property. Stone Creek Settlement Bed and Breakfast is a short stroll from the historic town of Salado, which is home to an array of attractions, including the archeological ruins of Salado College and over 60 shops and artists’ galleries. 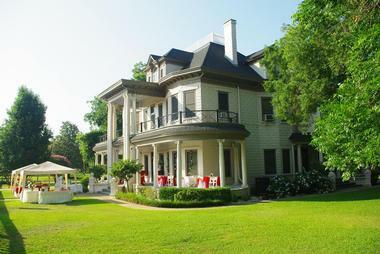 The House of the Seasons is a historical home in Jefferson that offers an exclusive bed and breakfast destination with luxurious accommodation, gourmet dining, and outstanding service. 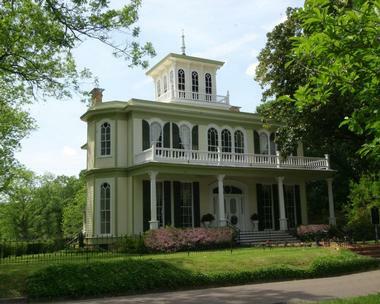 Built in 1972, the building is an excellent example of the transition period between the Greek Revival and Victorian styles of architecture, and spectacular Victorian gardens surround the elegant home. The bed and breakfast features four luxurious guest suites located behind the house, each with a separate entrance, elegant bathrooms, and period furnishings. A gourmet breakfast can be enjoyed every morning, and private tours of the historic home are available on request. The House of the Seasons is ideally located for exploring the town of Jefferson, which features attractive old Southern homes and small antique boutiques offering the perfect place for a quiet, romantic, and relaxing weekend. Nestled in the heart of downtown Graham and Lake Country, The Inn at Revel Manor is perfectly located for a leisurely mid-week or weekend getaway. Situated behind the historic Revel Manor, which dates back to 1903, this beautiful Victorian property offers quaint, comfortable guest rooms with pretty country-style décor and en-suite bathrooms with claw foot tubs and showers. Contemporary amenities include air-conditioning, coffee/tea facilities, fridges, and microwaves, and rooms enjoy wireless Internet and separate entrances. 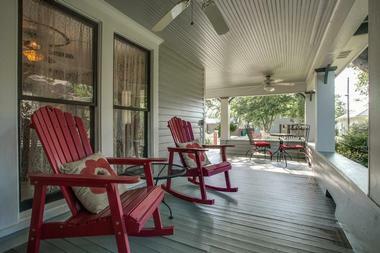 The lovely little clapboard inn has a wraparound porch where guests can relax with a drink and soak up the views. 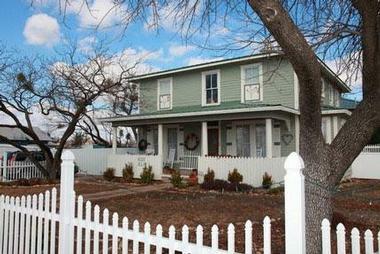 Enjoy a relaxing stay at the quaint turn-of-the-century Rustic Retreat in Jefferson. 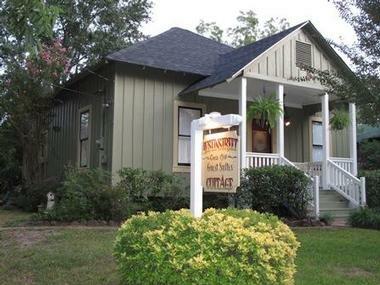 Located in Jefferson's historic district just one block from the downtown attractions, this bed and breakfast features two private batten board cottages that serve as the perfect place for a cozy, intimate getaway for couples. Overlooking the lovely courtyard garden, both cottages boast king-size beds, private bathrooms with claw-foot tubs and showers, and comfortable living room/dining rooms. High-speed Internet access is available throughout the property, and there is 24-hour security on site. Rustic Retreat is a friendly, inviting retreat that is close to all that Jefferson has to offer. Centrally located in the heart of the Rio Grande Valley, Indian Ridge Bed & Breakfast is a comfortable guesthouse that offers an ideal base for nature-lovers who want to explore the surrounding landscapes. Situated between Falcon Dam and South Padre Island and just four miles from the World Birding Center at Bentsen-Rio Grande State Park, Indian Ridge Bed & Breakfast features lovely guest rooms with large beds and private bathrooms with showers or whirlpool tubs. Amenities include refrigerators, microwaves, and coffee machines, and the main house has a communal kitchen for guest use. The charming guesthouse is surrounded by lush gardens with patio seating, hammocks, swings and lawn chairs where guests can relax while reading and lounging. A complimentary continental breakfast or hot gourmet breakfast is served on the patio each morning, and there is wireless Internet in all rooms. Indian Ridge Bed & Breakfast also offers a large swimming pool, tranquil meditation ponds, and tropical landscaping that is home to a diverse variety of birds and butterflies. Located in the historic Sundance Square, Etta’s Place is a stylish bed and breakfast inn situated in the heart of downtown Fort Worth. Named after Etta Place, who was commonly known as the girlfriend of The Sundance Kid (of Butch Cassidy fame), this historic inn features ten luxurious guest rooms with contemporary décor, king-size beds, and private bathrooms with showers and soaking tubs. Guests are treated to home-cooked gourmet breakfasts every morning and can take advantage of specialized services such as massage therapy, beautiful flower arrangements, seasonal fruit baskets, and fruit and cheese trays. Etta’s Place is conveniently located on Sundance Square, the beating heart of Fort Worth, which boasts an array of restaurants, bars, cafés, and theaters. 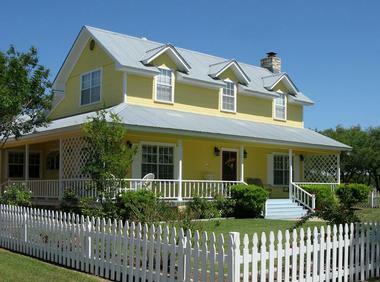 Escape from the city for a relaxing weekend getaway at the Yellow House Bed and Breakfast in Salado. Nestled in the rolling foothills of Texas' famous hill country, the historic community of Salado boasts beautiful shady live oak trees, a rippling creek, and a rich, unique heritage. Located a short stroll from Salado's Main Street, the welcoming bed and breakfast offer five large and beautifully decorated guestrooms with en-suite bathrooms baths, as well as two private cottages and two guesthouses for larger groups. Rooms are nicely decorated and boast a home-away-from-home feel, while the sunny dining room hosts a delicious gourmet breakfast every morning. A spacious common room provides comfortable seating and a games table for entertainment, and the surrounding landscapes of wooded park-like grounds beckon to be explored and enjoyed. The Music Garden is a charming West Texas Mansion in the heart of San Angelo that offers guests a delightful retreat in a place right around the corner from the meandering Concho River. Just a short stroll away from the historic Concho Avenue, the Music Garden features lovely comfortable rooms decorated with vintage solid wood flooring, four-poster beds, and en-suite bathrooms with Jacuzzi tubs and showers. 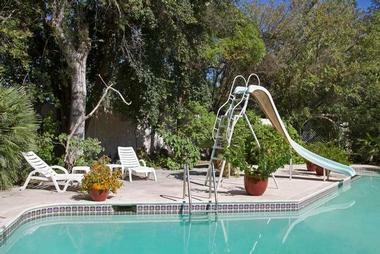 Guests can enjoy relaxing under the stars in the hot tub or explore the little town of San Angelo. One of the most remote cities in America, San Angelo offers a variety of things to see and do such as the historic Concho Avenue with its boutiques, restaurants, and museums, the city’s first site the Fort Concho National Landmark, and the famous oasis of the Sunken Gardens Park. 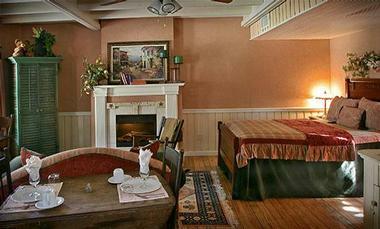 Enjoy seclusion, romance, and gracious southern hospitality at the intimate Inn on the Creek just outside of Austin. Housed in an elegant Victorian building that was built in 1882, the inn is situated along a natural creek surrounded by tall cypress trees and beautifully landscaped grounds. The inn feature seven exquisite guest rooms decorated with period pieces and boasting en-suite bathrooms with baths and showers. The spacious third-floor McKie Suite offers a tranquil library nook and window seat overlooking Salado Creek, and high-speed wireless Internet access is available throughout the house. A full complimentary Southern-style breakfast is served every morning, and maid service is available for multiple-day stays. Alexander's Distillery is an elegant restaurant and cocktail lounge where guests can savor excellent cuisine and drinks while overlooking the creek. Curl up with a great book and a glass of wine on the porch or take a leisurely stroll to the many shops and galleries a few blocks away. You may also like: the Natural Bridge Wildlife Ranch, the Gruene Mansion Inn and T Bar M Resort in New Braunfels, TX.